and tablet computers as well. Our award winning Desktop Alert and SMS Alert Software offers a Instant and Secure communication channel between a business and its customer. Its offers Instant Delivery of Alerts Messages to Customer Desktops, Email Inbox as well as SMS Alerts to their mobiles. Customized Branded Desktop Alert Software available for Windows, Mac and Linux. Other Features include Customer Surveys ,Personal Messages , 256 bit Encrypted Desktop Alerts , Full Audits ,Time Limited Trial / Demo versions / Paid Subscriptions and Full Desktop Alerts API Implementation to Automate the Webmaster tasks. Twitter and Facebook notifications have also been implemented using their respective API. Remote Monitoring Services is your premier source for Website and Server Monitoring from many locations around the world. We monitor at regular intervals and then notify you via Email, Desktop application, SMS and Twitter. We follow Software as a Service (SaaS) model where you only pay for what you use. 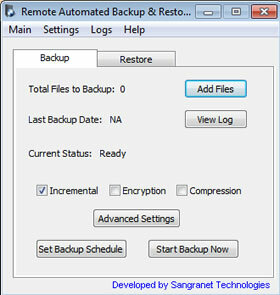 Automated Remote Backup and Restore Software is a simple but powerful tool to automatically schedule your backups and do the restoration on demand. This Free software offers all the state of the art features available in commercial backup softwares. Please take a look at some of its features. - Can be used with any FTP Account . 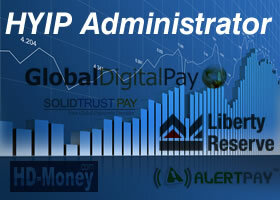 Our HYIP software is extremely secure and supports all types of HYIP Plans and all major ecurrencies . 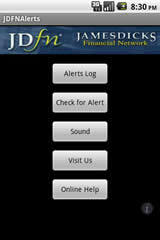 Forex Alerts software for iPhone and iPad delivers forex alerts directly to the iPhone / iPad of your customer. 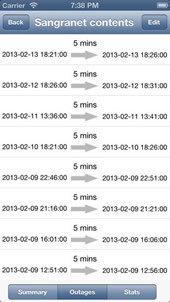 Almost all the features available in Desktop Alerts software are now available in iPhone alerts software. Check My Site software for iPhone and iPad allows users to check and monitor their website and servers for any downtime, Performance degradation, Defacement, Hacking, Inclusion in Spam Lists and much more. This software monitors all basic and advanced aspects of your website and its services. 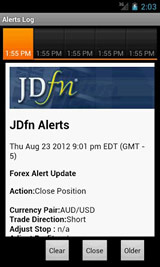 Forex Alerts software for Android delivers forex alerts directly to the Android Phone / Tablet of your customer. Almost all the features available in Desktop Alerts software are now available in Android alerts software. Forex Trade software allows you to trade in Forex markets and view / analyze all the information about forex directly from your computer. - Excellent yet Simple User Interface for all type of traders. Online videos and resources available. FlicksPlay is a movie and trivia based game where you operate a virtual movie multiplex and screen movies in it and earn fCash. You can answer movie Trivia questions and earn more fCash. You have your own Cafataria to buy / sell items and move up in rankings. You can invite your Facebook friends and compete with them for top positions among friends and globally also. - Top Earner wins prize each day and Top Weekly players also win prizes.